Before Asian Canadian writing was considered a genre unto itself, Jim Wong-Chu went over UBC’s library stacks with a fine-tooth comb, looking up literary magazines dating back 10 to 20 years. His mission in 1989 was to map all of the Asian Canadian writers and their material to compile them into an anthology of Asian Canadian literature. “I was humbled to find more than 100 writers, instead of the 20 or so Asian writers I expected,” says Wong-Chu. Taking the 20 best works, Wong-Chu and co-editor Bennett Lee published an anthology called Many Mouthed Birds. The publishing of this anthology created the phenomenon of Asian Canadian writing that exists today. The idea for an anthology came during the heady 1960s, when Jim Wong-Chu and a group of young Asian Canadians began to explore their identities. That exploration took them back to their roots and ignited a desire to express who they were as Canadians of Asian descent. Wong-Chu, one of the founders of the Asian Canadian Writers’ Workshop (ACWW) and a well-respected mentor, says they are still pioneering every step of the way. When they started, they were in a desert; hardly anything reflected their culture. The library’s card catalogue didn’t use “Chinese Canadian literature” or “Asian Canadian literature” as subject headings. Wong-Chu’s formidable task was to, in the shortest possible time, create an awareness of Asian Canadian writing. The anthology that is now used as a standard text in school systems took a courageous effort and risk to create. “We didn’t want to have Canadian literature critics pat us on the head and say ‘this is a nice effort, but it isn’t literature,’” says Wong-Chu. They wanted to create something that would pass the test of the critics. They not only passed the test, they created an anthology that became a point of departure for now-established Asian Canadian writers such as S.K.Y. Lee, Larissa Lai and Wayson Choy. The collection was prestigious enough that publishers contacted these writers for future contracts. Choy went on to publish his novel Jade Peony. Wong-Chu published a book of poetry called Chinatown Ghosts. What Is Happening In This Genre Now? Publishers are now very receptive of new Asian writers, a success Wong-Chu attributes to the prestigious awards those authors received. Among the ACWW pioneers, S.K.Y. Lee, Choy and Paul Yee have received the Vancouver Book Prize. Asian Canadian writers Hiromi Goto and Kerry Sakamoto have won the Commonwealth prize, while Evelyn Lau was nominated for a Governor General’s Award and Fred Wah won one with his book of poetry Waiting for Saskatchewan. “It’s a very unusual phenomenon,” says Wong-Chu, who still hasn’t figured out whether these books are popular as novelties or as pieces of literature in their own right. Today, Asian Canadian writers play a much larger role in Canadian literature than they did 30 years ago, says Ron Hatch, a Canadian literature professor at the University of British Columbia and director of Ronsdale Press. “They need to be represented and it took a long time. It wasn’t until the ’60s that they began to be published,” Hatch says. Asian Canadian writers are also being studied at the university level. The literature is popular because it offers a direct transcription of the Asian Canadian experience. As an example, Hatch points to the conflict between Japanese and Chinese communities expressed in Choy’s Jade Peony. How Did The Asian Canadian Writers’ Workshop Start? 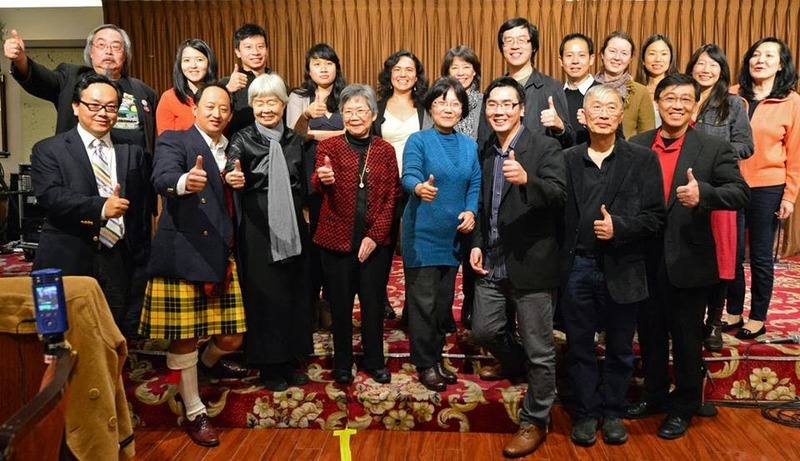 What began as an outlet of expression more than 20 years ago for Wong-Chu and other young Asian Canadians, has since evolved into the ACWW, a supportive network of Asian Canadian literary talent across Canada. Surprisingly, the concept of the ACWW evolved from an idea about community, rather than a focus on writing. Wong-Chu, S.K.Y. Lee and Yee and their close group of friends met intermittently and started to examine their own history after encountering the radical ideas of visiting Asian American academics and cultural workers. They explored the idea of developing a public consciousness and understanding their cultural roots. Wong-Chu says that was the basis for how most of their endeavours came about. These friends became the founding members of the ACWW. Wong-Chu and others helped develop an award winning English-language Chinese radio program called Pender Guy from 1976 to 1981 (Guy is phonetic for “street” in Chinese). Still others went into community organizing and established Asian Canadian Coalitions in their search to find their voice. Through the radio and through documenting history and people, they learned a lot about history and the intricacies of the Asian Canadian community. As for the label “Asian Canadian” and what that means: “It’s ironic because we’re hyphenated still in this society and a lot of people question why we want to identify ourselves,” says Wong-Chu. “But if we don’t take that step backwards, we can’t take a step forward.” Ultimately, most writers do not want to be known as hyphenated writers – they want to be known as Canadian writers. At some point, Wong-Chu believes this will happen. Already, things have changed a lot in the 10 to 15 years since the handful of published Asian writers were little spikes in the spectrum of Canadian writing. The ACWW is dedicated to presenting a local cultural context in Asian Canadian literature. “A context that says we’re here, this is us, we’re Canadian, but this is the difference,” says Wong-Chu. Asian Canadian writers bring a perspective to common life experiences, but they’re still distinct perspectives. That’s why the movie Joy Luck Club was so widely accepted and understood. The concept of the mother-daughter relationship is no different than those of Italian, Jewish or Ukrainian family situations. About six years ago, many people sought out the ACWW, and from a dozen people, the group grew to 70 members in a year’s time. The ACWW soon needed more structure and the informal writers’ workshop evolved into a non-profit organization. In 1997, the Emerging Writer’s Award was established. According to Wong-Chu, it came out of an idea “that we needed to do something tangible.” The award serves as a magnet that attracts manuscripts. Even the ones that don’t win help place the other manuscripts. “We needed a mechanism to collect them, and it’s an incentive,” says Wong-Chu. What Made ACWW Go Virtual? The ACWW’s virtual bookstore came out of a crisis within the publishing community when the books were not selling. “We did a bit of a survey and we found that most Asians don’t go looking for Asian books in bookstores. In bookstores you don’t have an Asian section,” says Wong-Chu. They formed the virtual bookstore as a solution to this quandary, and became their own book wholesaler. The ACWW publishes a quarterly magazine called Rice Paper, which is the only Asian Canadian literary arts magazine. Throughout the year, the ACWW host literary readings, seminars and workshops. For two years they sponsored Go-For-Broke, a literary and performing arts festival that proved to be more of a financial burden than a showcase for Pacific Rim talent. Now, most of the readings and workshops take place in the Canada-wide Asian Heritage Month each May. When the workshop becomes strong enough to support itself, Wong-Chu plans to take a step back and let others take over. He has other things he would like to do as well. His current book is based on his community and spectral Chinatown beings. “They may be ghosts or spirits or fictional realities,” says Wong-Chu. “I want to create a whole new mythology. Without myths, legends and role models a culture cannot sustain itself.” For Wong-Chu, the world of myths and tradition, that’s the next level.